An annual report is one of a company’s most vital communication tools. The colors, design and images in your annual report should all support your key messages—and should inspire confidence among shareholders and readers alike. Not sure if your annual report is living up to its full potential? See how it compares visually to your top competitors’ annual reports. Grade your photos. If that’s all the readers see, what would they think about your company? Browse it. If you read only pictures, captions, subheads and headlines, what will you know about your organization? Dress up your presentation in style to convey confidence and success, like this package we helped develop for a CEO’s presentation at their annual shareholder’s meeting. Energetic colors, bold design and a mix of media—to keep the presentation alive—tell the company’s story and build support. First impressions. Good design can help you create packaging that instantly conveys your message—without saying a word. Design. Great design is a strategic advantage. Regardless of your industry, clients expect it—and judge your company by it. Like any skill, great design is best achieved by someone who understands your business goals and who has spent a lifetime perfecting their skills. It rarely pays to risk your visual appearance to a novice. Attention span. As this gets shorter and shorter, presenters have to make it easier and easier to grasp a message. Variety can help here, too. In this package, we provide a short video to break up the in-person presentation. 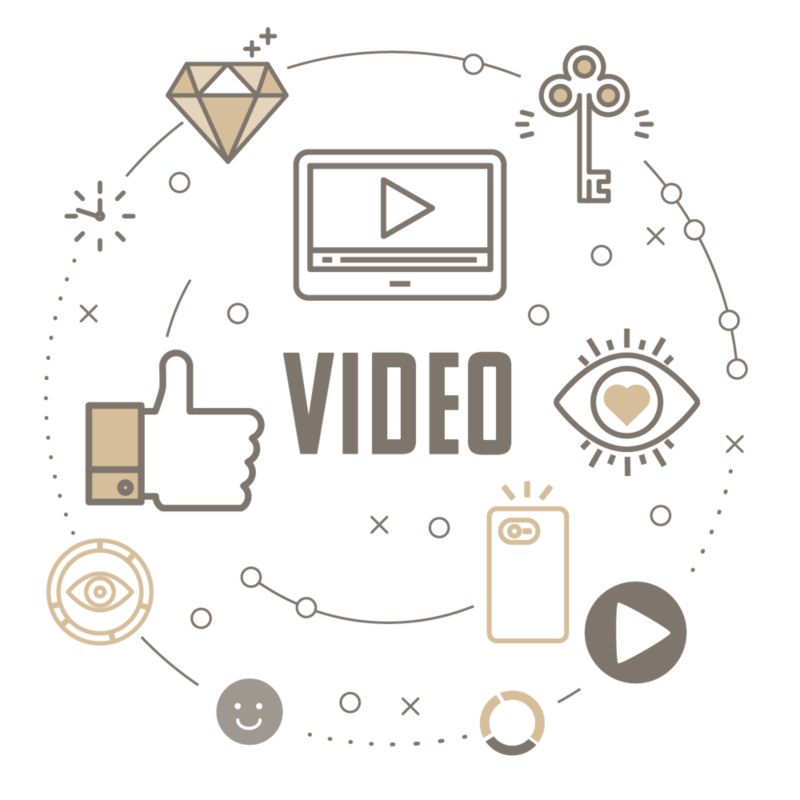 Video is a great way to add punch to any presentation, as it engages more of the senses with music and arresting images. So whether your audience is a shareholder, customer or employee—use the tools of professional communicators to make you and your company more credible and successful. For more than a decade we’ve partnered with Key Technology to produce their annual report. And for the second year in a row, their annual report has been listed in the Top 100 winners gallery in the 2010-2011 international LACP Visions Awards Annual Report Competition. Number 29 on the list, it was selected from more than 5,000 entries across all categories—and from 24 countries. The Top 100 list included companies like Korean Air, Hyundai, MD Anderson Cancer Center, Walmart (Mexico/Central America), Qualcomm, Charles Schwab and Deloitte Touche Tohmatsu. The report also garnered the Platinum Award, the highest of four awards offered, for annual reports in its industry category. A panel of professional judges scored the project on eight aspects ranging from first impressions to message clarity. This year’s report cover image suggests both the international nature of their company and how their technologies benefit the consumer by bringing us fresher, purer products. We love the power of the image and its utter simplicity—made more notable by generous use of white space and use of vibrant colors inside. LACP is the League of American Communications Professionals that helps promote best-in-class practices in communications. In this year's annual report, the color orange anchors Key Technology's 2009 Annual Report and sends a message of vibrancy, innovation and energy—all characteristics of this market leader. Beautiful, saturated images of food help depict one of the primary markets impacted by this company—a world-wide leader in equipment that processes, sorts and removes defects from food and pharmaceuticals to ensure product safety and freshness. The image of the executive team, shot from an elevated platform, delivers a fresh perspective that suggests both optimism and confidence. One of the pleasures of running this company is the wonderful long-standing relationships we have had with our clients. For a decade now, Key Technology has partnered with us to produce their annual report. With products at work on six continents, they're the world leader in developing equipment that processes, sorts and removes defects from food and pharmaceuticals—ensuring safer, fresher and purer products are supplied to people around the world. Each year we have the pleasure of working with this group of talented individuals to tell their corporate story. We love this project because it often allows us to showcase food, which is such a beautiful subject. Their 2008 report features a custom die-cut cover and gloss spot UV finish that depicts the impact of Key's products on the food market. The shot of their executive team was taken in one of the beautiful vineyards of the Walla Walla valley just before dusk, when the light is warm and beautiful, making the background look as though it was painted.